Fisherman's Return01493 393305work01493 393951fax InnWelcome to The Fishermans Return. We are a 300 year old brick and flint Pub situated in the picturesque unspoilt Norfolk village of Winterton-on-Sea, with long stretches of sandy beaches and beautiful walks within a few minutes stroll. Welcome to The Fishermans Return. 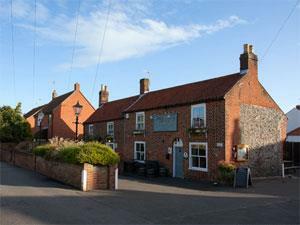 We are a 300 year old brick and flint Pub situated in the picturesque unspoilt Norfolk village of Winterton-on-Sea, with long stretches of sandy beaches and beautiful walks within a few minutes stroll. We have 2 double and one twin bedded room available for B&B accommodation.